San Diego is one of the coolest places on the Pacific Coast Highway. It has a quirky charm that manages to blend its history as a naval base with an atmosphere that's laid back even by California standards. It may not have Disneyland but it does have Sea World, the San Diego Zoo, the Wild Animal Park and good opportunities for whale-watching from the San Diego shoreline and the unmissable San Diego whale-watching cruises. 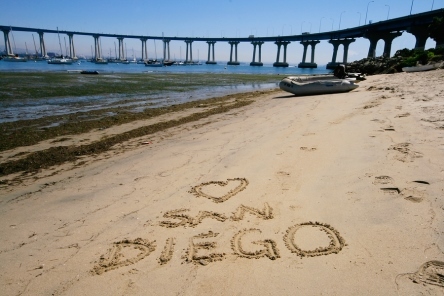 San Diego can also offer great nightlife in its Gaslamp Quarter, good museums, and beaches. An influx of celebrity chefs has boosted its restaurant scene, and it's now more expensive to dine in San Diego than in LA. In short, it's got everything to justify a city break of a few days, or a full vacation.